Eric Thames, Manny Pina and Orlando Arcia celebrate one of Thames' 23 home runs in the first half of the season. 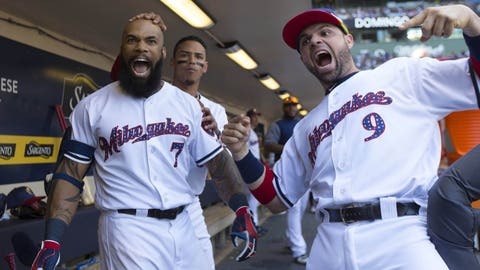 MILWAUKEE — Eric Thames looked up at the television near his locker in the Milwaukee Brewers clubhouse in time to hear baseball analysts heaping praise on one of the majors’ most surprising teams. 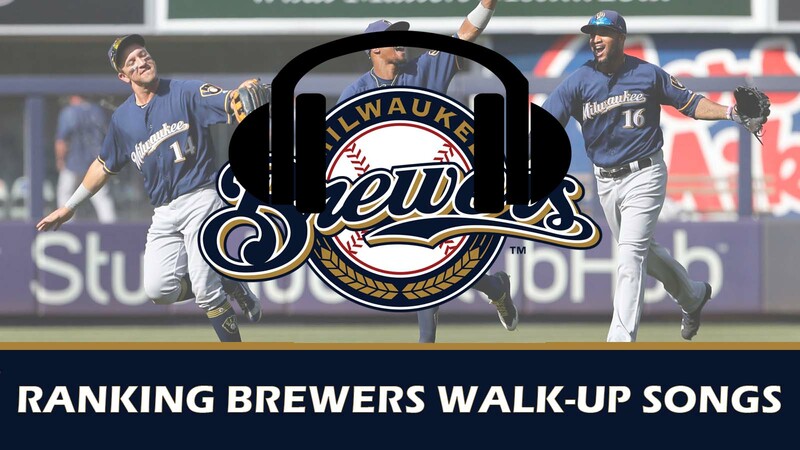 The Brewers aren’t a secret anymore, not with a 5 1/2-game lead in the National League Central at the All-Star break. Manager Craig Counsell’s team returns from the break to host the Philadelphia Phillies on Friday. Asked if such a move adds more pressure in the Brewers clubhouse, Shaw said that “There’s more pressure on them than there is on us right now. They’re the defending champions.